“Previously, we needed to do preventative maintenance twice a year. - The Panasonic SOLID SHINE series projectors maintain excellent image quality and high brightness for a long time. - Maintenance-free operation and long-lasting reliability support prolonged stable operation. 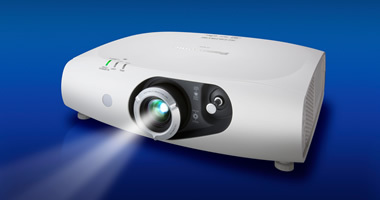 - Cost-effective compared to conventional projector in the same class. - The “Quick Start” and “Quick off” features improve user-friendliness and satisfaction. 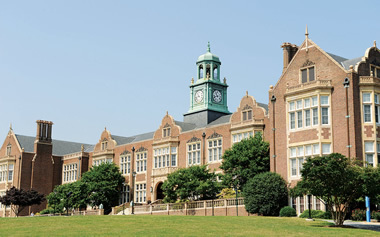 Towson University is the second largest public university in Maryland. Located outside Baltimore, the four-year school has more than 22,000 students who are enrolled in a range of disciplines. 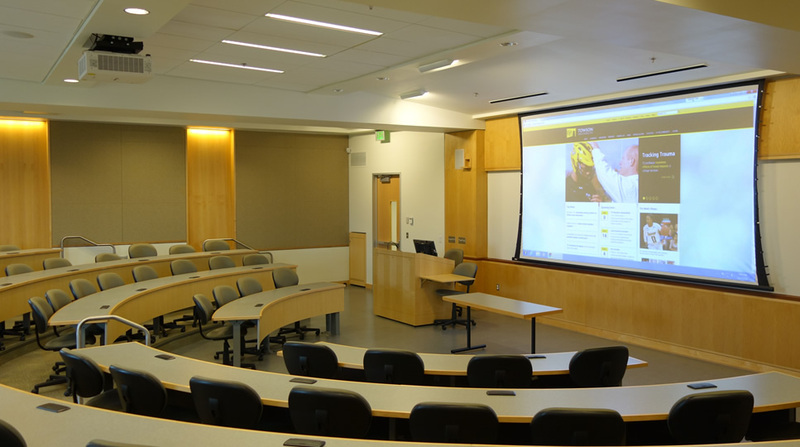 When Towson University opened a new liberal arts building in 2011 – the first new structure in 30 years – the Technology Services team wanted to make sure that their AV investments would pay off for the future. One key priority they identified was the reduction of projector outages. With classes running continuously for about 10 hours a day, there is little time to do repairs. What’s more, outages are immensely disruptive to classes. So when the team learned about Panasonic’s line of lamp-less projectors, they saw great opportunity to make sure that classes have more continuity through more reliable technology. In 2013, Towson decided to install the LED/Laser-combined light source projector, the PT-RZ370. The 3,500 lumen HD projector has 1080p resolution and is extraordinarily low-maintenance given its no filter design. In fact, the projector can run for 20,000 hours without maintenance. 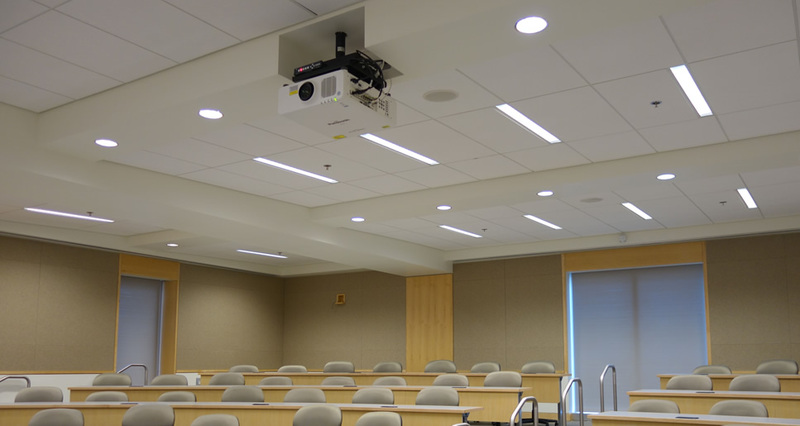 Today, Towson has 103 PT-RZ370 projectors installed in classrooms across campus. 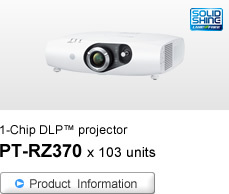 The PT-RZ370 LED/Laser-combined 1-chip DLP™ Projector was perfect for the Towson classrooms. for projector-related issues, down further from the low 10.6 % for FY2014. The Technology Services team was also delighted by how much less maintenance the projectors required. “Previously, we needed to do preventative maintenance twice a year. In the rooms where we have the PT-RZ370s, we no longer have to do that, freeing up time that can be used for more critical tasks,” said Brian Raley, Instructional Services Engineer at Towson University. What’s more, the school tracks issues with technology across the campus: “The number of projector-related issues is negligible.” Raley noted that last year – out of 1,270 total technology problems reported to the Technology Services team – only 2.6 percent were lamp related while 5.0 percent were other projection issues (such as source and sizing). "We've gotten feedback that students and teachers alike are impressed by the stellar image quality." Cindy Davis, manager of classroom technology, explained that the faculty were excited by the projectors’ output as well: “The 1080p resolution means that images and videos are much more clear and detailed. We’ve gotten feedback that students and teachers alike are impressed by the stellar image quality.” The projectors serve an average class size of 25-40 students, and stream everything from basic PowerPoint presentations to - more commonly - video streaming and Internet content. 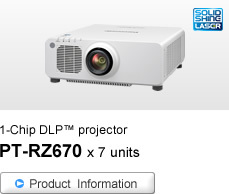 When the next-generation, fully laser PT-RZ670 projector was announced last year, the school purchased seven. With 6,500 lumens and the same a lamp and filter-free design as the PT-RZ370, these projectors were ideal for rooms with more ambient light. The PT-RZ670 projector was newly installed in a large classroom.